Mathematics text book “Riyazi ” Urdu Medium E-book for class 10, CBSE , NCERT. Home » 10th Class » Mathematics text book “Riyazi ” Urdu Medium E-book for class 10, CBSE , NCERT. Mathematics text book “Exemplar Problem(English)” English Medium E-book for class 10, CBSE , NCERT. Mathematics text book “Exemplar Problem(Hindi)” Hindi Medium E-book for class 10, CBSE , NCERT. Mathematics text book “Ganit” Hindi Medium E-book for class 10, CBSE , NCERT. Mathematics text book “Mathematics (English)” English Medium E-book for class 10, CBSE , NCERT. English text book “Footprints without Feet” E-book for class 10, CBSE , NCERT. Social Science text book “Bharat Aur Samakalin Vishv-2” Hindi Medium E-book for class 10, CBSE , NCERT. Social Science text book “Loktantrik Rajniti” Hindi Medium E-book for class 10, CBSE , NCERT. 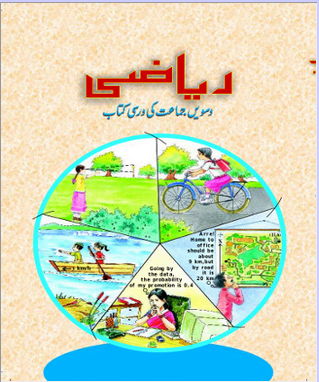 Urdu text book “Nawa-e-Urdu ” Urdu E-book for class 10, CBSE , NCERT. «Mathematics text book “Mathematics (English)” English Medium E-book for class 10, CBSE , NCERT. plese upload sample paper class 7th 2016 [first  [march] my paper]…..